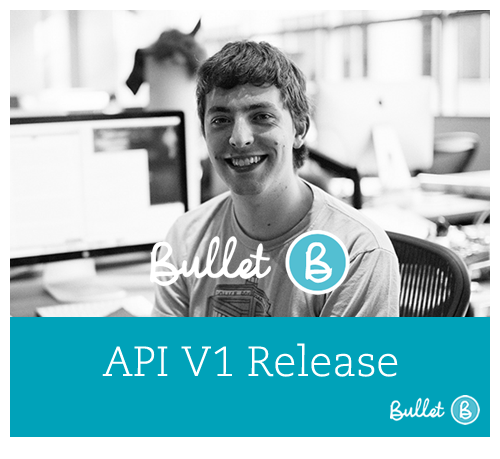 We’ve been working hard at Bullet to Build the API for our Accounting Software. We realised how hard it is to build full double entry accounting and payroll software but realised how many fintech products could benefit from having access to its engine. Weather that is you just don’t want to build an invoicing engine because it’s not core to your product, or you’re looking to extract calculated results to build your dashboard. Either way we started to think more of Bullet as becoming a platform for the community fintech developers to help the community of small business owners. Here is a high level overview of the API, you can find more information at our API community site (which we’ll be adding to over time). Wherever possible, the API seeks to implement repeatable patterns with logical, representative URLs and descriptive HTTP verbs. Information can be sent in the body as form urlencoded or JSON, but make sure the Content-Type header matches the body structure or the server gremlins will be angry. Here are the current endpoints accessible to the Accounting Software API, we’ll be opening more over time. hello@bullethq.com so the whole team can see it.